Thank you so much to all of our friends and alumni for giving so generously to our campaign. You can still honor Gov. Winter, and even though our online project has ended we still gladly accept donations to our permanent fund. As the fund increases we'll be able to support even more students. Please visit http://umfoundation.com/winterlegacy. Thank you! Throughout his life and career, former Mississippi Gov. William F. Winter has had a transforming influence in the lives of the people he served. Now, we encourage you to follow suit by making a gift in honor of his legacy. On Oct. 20, the namesake of the William Winter Institute for Racial Reconciliation on the University of Mississippi’s Oxford campus will be honored by the National Civil Rights Museum with its prestigious Freedom Award. Past recipients include Bishop Desmond Tutu, Marian Wright Edelman, Presidents Jimmy Carter and Bill Clinton, Dr. Dorothy Cotton, Bob Moses, Jackie Robinson, the Dalai Lama and Tom Brokaw. Winter’s plans to dedicate the $10,000 honorarium accompanying his award to the William Winter Institute sparked a $20,000 crowdfunding campaign at the University to build on his lifelong legacy of giving to his home state. Thanks to his generosity, starting Oct. 18, every dollar contributed to #WinterLegacy, up to $10,000, generates an additional $1.00 to pay tribute to a true Mississippi icon. Each dollar you give becomes two! With a goal of $20,000, proceeds from the #WinterLegacy campaign will support the outstanding humanitarian efforts of the William Winter Institute, which include the Summer Youth Institute, the Welcome Table, Academic Service and Rethink Mississippi. Please continue reading to learn how the William Winter Institute changes lives by extending Gov. Winter’s legacy of service. 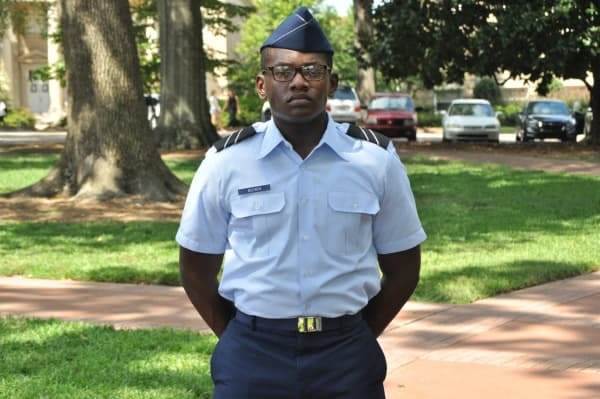 McComb native Zachhaeus McEwen, recent recipient of an Air Force Reserve Officer Training Corps scholarship at Ole Miss, credits the William Winter Institute's Summer Youth Institute (SYI) with many of his successes. "If I had to describe SYI in one word, it would be 'growth,'" Zach says. "I came from a small town, and I wasn't really thinking about how other people might not have grown up the way I grew up. I grew as a person, and I wouldn't have appreciated my own culture if it wasn't for SYI. SYI broke down a lot of walls for me." Each June, 28 Mississippi high school students spend nine days in Oxford at SYI, where they learn how to be community leaders. At SYI, each young Mississippi leader designs a project that matches a personal passion with a need of their community, and signs an agreement to pursue the project for two years. It turns out that SYI is an effective recruiting tool as well: Nearly a third of Zach's fellow 2012 SYIers came to Ole Miss. An article in Mindful magazine earlier this year titled "Telling Stories, Breaking Barriers" features the Community Building work of the William Winter Institute. "Over the months Dudley Davis listened to his African-American neighbors, he developed a more palpable sense of how racism harms people he had grown to care about.... Judy Edwards, for her part, has found herself drawn to Davis’ vulnerability as he’s talked about his upbringing. 'It touched me because he broke the barrier.... He really didn’t know how we, as black citizens, were going to take what he was trying to say.'" Building on epiphanies like this, the Welcome Table lays the foundation for communities to achieve reconciliation and equity, overcoming problems caused by race and other difference-based discrimination. There are currently 19 Welcome Table partner communities in Mississippi, Louisiana, and Tennessee. The William Winter Institute's Academic Service work began as part of the University of Mississippi's quest to become, in the words of former chancellor Dr. Dan Jones, "welcoming to all." We forged alliances with groups campus-wide to reimagine orientation for all students (and parents and guardians), faculty, and administrators. Freshmen now study not only the merits of diversity to a university community, but also our University's racial history, in the required EDHE class. We have become a trusted University advisor in matters of diversity and inclusion. Our success at Ole Miss has led to demand for our expertise from a growing network of partners, including other Mississippi colleges and universities; out-of-state campus communities such as Bowdoin University, in Maine; other SEC schools; CUNY Law School, in New York City; and the University of Washington. Even corporations and federal organizations, such as the National Park Service and the Mississippi Association of Police Chiefs, seek out the Winter Institute. As diversity and inclusion become touchstones throughout the nation, the demand for the William Winter Institute's expertise continues to grow. Mississippi’s rising generation will inherit a state brimming with potential but mired at the bottom of nearly every national ranking in education, health, and poverty. If we hope to detach ourselves from the number 50, we must rethink our approach to the state’s entrenched social, political, and economic challenges. That process starts with an honest discussion of the state we are today — and the state we aspire to be. Rethink Mississippi leads this discussion by providing well-researched insight, analysis, and commentary about the state’s critical issues. Our contributors come from a range of backgrounds, but most work directly with the issues they write about in schools, nonprofits, or community organizations. As we see it, these are the people who are committed to making a difference over the next generation. RM offers them a space to be heard and, more importantly, hear from each other. Nearly 20,000 unique visitors read Rethink's work each month. Contribute today. Honor a Mississippi icon. Double the impact of your donation. And share the #WinterLegacy campaign with your networks! 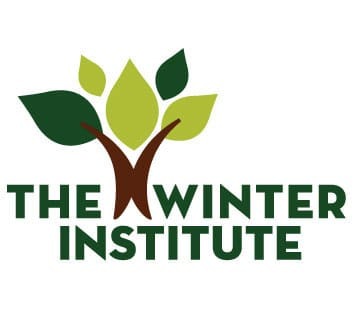 Like and follow the William Winter Institute on Facebook and Twitter for announcements and updates! For 7 years, the Summer Youth Institute has been producing leaders from Mississippi high schools. The William Winter Institute for Racial Reconciliation has anchored its work at the University of Mississippi for 17 years. 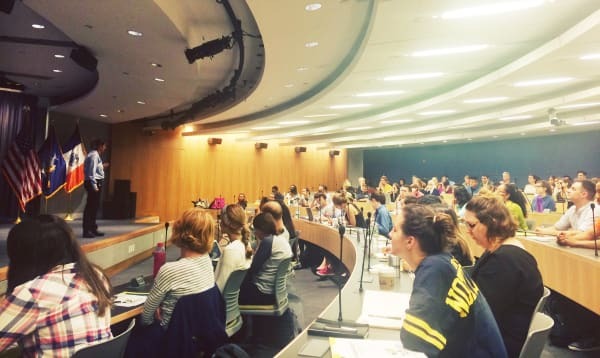 Twenty-eight rising high school sophomores and juniors are selected each year to attend the William Winter Institute's Summer Youth Institute on the Oxford campus each June. Each SYIer designs a project that combines a need of their community with a personal passion, and signs an agreement to build the project for two years. Gov. Winter is 93 years old, and still working for Mississippi every day! Launches a project in a Mississippi community that combines a passion of a Summer Youth Institute student with a need of their community. Sponsors a workshop to teach community members the many ways our world benefits from difference, and how to address discrimination effectively. Regional summits help grow youth community support networks around the state, and allow teachers to share how to effectively include Civil Rights and Human Rights history into their lessons. Preserve a community's past, and those who shaped it, via an oral history project. Vital support for a Winter Institute-sponsored (free!) conference, such as "Mass Incarceration in Mississippi."